Message from Dean, I & AR, IIT Madras: Alumni Day 2014– a grand success! The “golden” “Alumni Day” on July 19th in IC & SR Auditorium was indeed a memorable Event, attended by more than 300 alumni and family members. The program got off to an early start with the conferral of the “Distinguished Alumnus” Award on Anil Ananthaswamy, 85-BTEE, and Science Writer & Consultant, “New Scientist”. He’s also the author of “The Edge of Science“,which combined the two genres of popular science and travel-writing and was published in 2010. Currently, he is working on his next book titled “Maladies of the Self”, which explores the neuroscience of the sense of the self. The Director, Prof. BhaskarRamamurthi, conferred the Award, and Anil gave a short acceptance speech. He’s due to return to the campus later for a longer interaction with the students. I welcomed the gathering next, followed by V Gopinathan (President, IIT Madras Alumni Association) addressing the gathering. Gopi outlined various initiatives by MAA, including plans for a grand year-long celebration of this year of the first golden graduation anniversary. Both ’64 & ’65 batches graduated in ’64, and plan to celebrate together in December. Representatives from the two batches (S Srinivasan and K Narayanan) took to the stage to indulge in some nostalgia, and to chalk out their reunion plans. The first of the thematic presentations concerned IITM’s gloried past. Kumaran Sathasivam, our alum and author of the IITM Coffee Table book, “CampasChimes”, waxed lyrical about campus history, and Prof. AjitKolar (his co-author) told the story in rare pictures. Their rendering of IITM’s past was breathtaking in its emotional impact, and was much appreciated by a nostalgic audience. 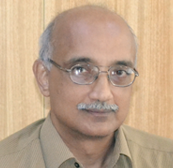 The “pulsating present” of IIT Madras was illustrated by 4 faculty presentations—Prof. MangalSundar on NPTEL with certification, Prof. Manu Santhanam on the “Center for Safety of Heritage Structures”, Prof. Muraleedharan on “Center for Technology & Policy”, and Prof. SujathaSrinivasan on “Center of Excellence in Rehabilitation Research and Device Development”. All presentations showcased IITM’s current thrust on research with massive social impact, and again drew substantial acclaim from the rapt audience. The 2014 graduands were asked to waive their caution deposit, with the donated amount going to a project of their choice. This “Leave Your Imprint” initiative drew nearly Rs. 9 lakhs in funding, with the money directed towards a “Study Center” at the renovated Quark. The outgoing Student Secretary for I& AR, Jithin Sam Verghese (a ’14 alum) received a special memento for his trail-blazing efforts in that role. Plans for 2014-15 were outlined by the incoming I & AR Student coordinators. Several alumni-funded awards were presented on the day. The ’88 batch, which had its Silver Reunion in December 2013, announced that they had raised nearly Rs. 1 cr, and the ’89 batch announced their plans for their own Silver Reunion in December 2014. Last on the agenda was a panel discussion on IITM’s “Strategic Plan 2020”, featuring the Director and Deans. 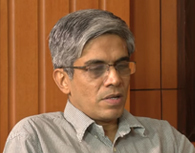 Prof. Bhaskar enunciated the Institute’s current position and future plans with great clarity. A sumptuous lunch brought “Alumni Day 2014” to a happy ending, leaving all to await “Reunion Day” on December 26, 2014!